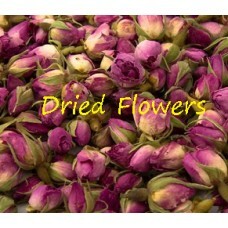 Pink/Purple Dried Rose buds... classic rose buds for scattering on tables to add a romantic feel. 1 litre of rose buds weighs approximately 160g and contains 400-500 rose buds. Pink/Purple Dried Rose buds... classic rose buds for scattering on tables to add a romantic feel. 1 ..